Posted on February 22, 2017 June 23, 2018 by Igor Y. There are a lot of reasons to use TLS encryption on a website. Some of them are obvious (e.g. the protection of visitor’s safety), some are related to the subtleties like SEO and user experience. Many analysts recommend switching to HTTPS because search engine of Google consider HTTPS as one of the ranking signals. Beside that, new versions of browsers, (e.g. Chrome) frighten visitors of non-encrypted websites, marking them as “unsafe”. Until recently, many webmasters, bloggers and SOHO business owners used to encrypt their resources with free StartSSL and WoSign certificates. 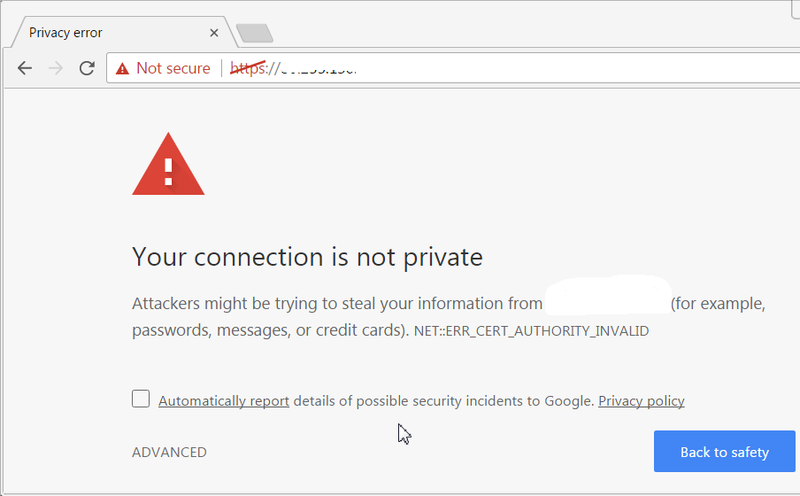 Since StartSSL and WoSign certificates were going to be distrusted by Mozilla (https://blog.mozilla.org/security/2016/10/24/distrusting-new-wosign-and-startcom-certificates/) and Google, and there were no other free options to get SSL for a long term, we have chosen an LetsEncrypt (https://letsencrypt.org/getting-started/) option. Since LetsEncrypt certificate is valid for 90 days only, automation is really needed. Recommended automation tool is EFF’s Certbot (https://certbot.eff.org/). This utility semi-automatically enables HTTPS on your website, deploying Let’s Encrypt certificates. Hereinafter we share our own experience on initial installation and automation, briefly. Above mentioned resources give full description for different situations. Here we just demonstrate a logic of using the software for one particular case (only one domain/subdomain on VPS, which had previously another certificate; Nginx as a webserver, and CentOS7 as an OS; root SSH access; also presumed that we can stop webserver temporarily without negative consequences). - Congratulations! Your certificate and chain have been saved at /etc/letsencrypt/live/your.website.com/fullchain.pem. Your cert will expire on 2017-04-28. To obtain a new or tweaked version of this certificate in the future, simply run certbot again. To non-interactively renew *all* of your certificates, run "certbot renew"
You may use Webroot plugin of the Certbot (it allows to get a certificate without stopping/starting Nginx) instead of Standalone plugin, but you will probably need to restart/reload Nginx later anyway in order to activate changes made in config file(s). It made no difference in our case. (There may be a vague point here, but we found by experience that though Standalone plugin uses port 443, Webroot plugin uses port 80 for verification). It may be useful to put a test file (a.txt, for instance), into specified directory /.well-known/acme-challenge (to test access later). Also, if there was not SSL before, several usual options must be added, but we leave old ones. Make sure it works and test file is accessible from the Internet via both http and https. 6. Now let’s turn to the future renewals automation. into the Crontab for daily fulfillment. It will not reload a certificate every day if you set renew_before_expiry properly (see p.6). certbot renew --no-self-upgrade -w /home/site -q --renew-hook "nginx -t -q && nginx -s reload"
certbot renew --no-self-upgrade -w /home/site -q --renew-hook "/usr/sbin/nginx -t -q && /usr/sbin/nginx -s reload"
After all that, you may create an appropriate rolling event in your calendar to check if certificate is up-to-date on the website after each 90 days. This method was approved and works well on both our websites: www.ruspo.com and www.tree-talk.com. 6 Reasons Your Cron Job is Not Running (http://2clickfix.com/6-reasons-cron-job-not-running/ ).